This entry was posted on April 22, 2010 at 12:00 pm	and is filed under Entertainment. Tagged: book, comic, cover, dc, gender, marvel, television, toys, website. You can follow any responses to this entry through the RSS 2.0 feed. You can leave a response, or trackback from your own site. Traditionally comics were thrown in with boys toys. It’s only in recent years that greater numbers of girls (and women) have shown interest in many niches that were predominantly male orientated. The female characters are included because they were always there. Similarly, there is always at least 1 female character in most kids cartoons. Cheetara in ThunderCats, RC in Transformers, April in the Turtles. But their purpose is usually to simply be there for completeness or to need rescuing. I think X-Men got it right because there was a fairly even mix of male and female characters. Kudos to Marvel for that one. The again, DC created Cat Woman who was awesome in her own right. From a marketing point of view, it’s easy to peddle the well known characters who are male to a mixed audience. Will you go and watch Iron Man II this spring? I bet you will! 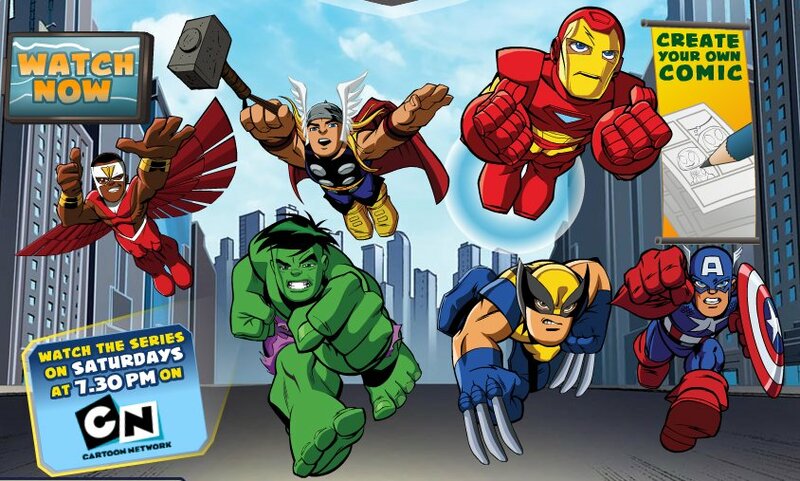 Comics have been included with “girls” toys too, though. The She-Ra action figures all came with their own comics back in the day just like the He-Man ones did! And Barbie had a successful comic book for a while too. Not to mention the girls from Archie’s line have had their own comics for decades and those have always been primarily marketed to women (as have most of the other girl comics from that company – Katy Keene, Sabrina, Josie, etc.). So girls are not at all new to the industry – they’ve always been there. They’ve just often be restricted to comics about romance and fashion. And, seriously, how do you think it feels to be included “simply there for completeness or to need rescuing”? What do you think that tells the little girls looking for something to watch on Saturday morning? We’re half the population but usually make up 1/5 or so of any given character group. The X-Men are awesome – a great mix of characters, each with story beyond their “gimmick”. But Marvel tends to market them with mostly the male characters at the forefront (Wolverine) despite the fact that there are a huge number of women who love them. In DC there have been only a few “groups” with a good mix and they *never* market them to illustrate that. The Justice League frequently has a good gender mix, but we only ever see the “all guys and Wonder Woman” version. The Bat-family actually has about as many female characters as male, but they always seem to forget about the female characters or turn them into little more than love interests for Batman or Robin when it gets to marketing (and when it’s in the hands of some writers, too). And there’s Wonder Woman, who comes from an island of only women, yet seems to live in a world where she’s the only one if you look at her marketing! It could be just as easy to “peddle” female characters if a little effort was put in. Think about Buffy. She’s got fans of both genders, in a wide range of ages and in all races. And yet she’s still a female character. How does she manage it? Because she wasn’t sold so much as a “female” character, but as a character – period. And no, I almost certainly won’t go see Iron Man II. I wasn’t that enthralled by the first one and as a general rule don’t see action movies in the theater. On the other hand, if Wonder Woman got a movie, I’d break my rule and go opening day. If the Birds of Prey got a movie with Oracle and everything, I’d go twelve times and take along everyone I know! The “it’s easy to peddle the well known characters who are male” argument also doesn’t explain why Wonder Woman is excluded from current Super Friends marketing. (Was this also the case back when the original Super Friends cartoon was on the air back in the 1970’s? 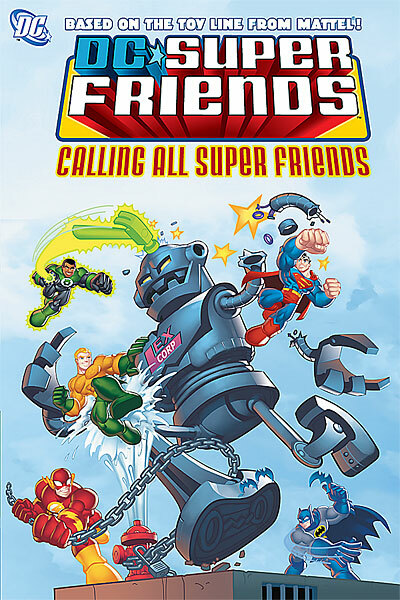 I seem to recall at least some Super Friends promotional materials back then featuring WW as well as the guys.) Wonder Woman is certainly better known to the general public–i.e., people who aren’t already big enough comics fans to be familiar with any but the most major, multimedia-publicized superheroes–than Green Lantern or Aquaman, who most people probably didn’t know existed until a fictitious movie about him became part of a subplot on “Entourage.” (One Saturday several years ago I was at the comics shop when a woman who was evidently there keeping her boyfriend company while he shopped looked at the racks of new releases and exclaimed in surprise,”Aquaman is a real character? I thought he was just a thing on ‘Entourage.’ “) Similarly, probably almost no one who wasn’t already a fan of Marvel comics had heard of Adam’s example Iron Man up until the first Robert Downey Jr. movie about him became a big hit last year.